​ Upon request, we will visit your site and discuss details of your proposed fish farm. Thereafter, we will go ahead and assess the site based on your planned activities. You will then be advised accordingly. If your proposed site is found to be suitable, we will try to identify ideal locations for the proposed structures (ponds, tanks, hatchery, farm structures, drainage system, etc) and come up with a layout of the same. Upon request, we will go ahead to peg and construct all the ponds as proposed. Two options are available - you can either provide labour as we provide technical advise and supervision, OR we can save you the headache by using our trained pond constructors. Depending on the nature of your your site, we can also landscape the area around the ponds and terrace it in preparation for construction of other farm structures. Our aim is to do a complete job. Once the ponds have been completed, we will test them and source for fingerlings to be stocked into them - depending on your preference. 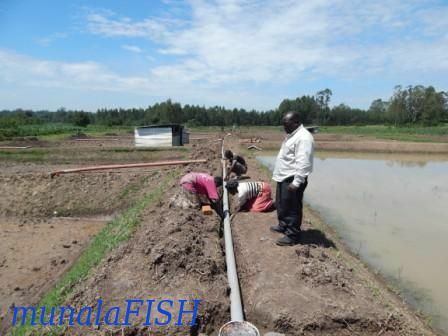 In order to run a successful fish farm, you need to have staff who have the skill to do it. 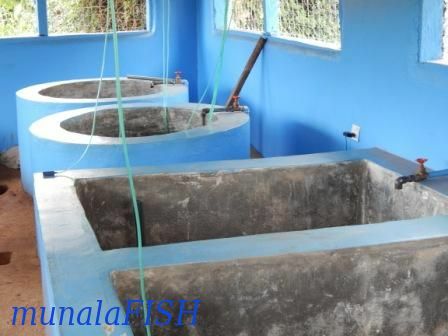 After the fish ponds have been completed and stocked, we can also train your staff (or yourself) on basic farm management techniques, fish feed formulation, propagation (if you have a hatchery), water quality management, etc. If need be, we can source for an experienced farmhand for you. For those who are into fingerling production, we do assist with design and supervision of hatchery construction. We also offer insitu training for hatchery staff. We can train you within our operation area (see attachment), on your farm, or at your preferred venue. The training is ideal for farm owners. Customized practical training charges are based on a one week or two week period (CLICK HERE FOR DETAILS). Other services are either charged as 'contract sum' or at the rate of US$ 95/- per day (in Kenya - this includes travel/accommodation) or US$ 120/- (East & Central Africa). Charges outside Kenya are exclusive of travel and accommodation, which are at the expense of the client.